Yummy, your blog looks so tasty. how much saffron would I have to use to get 1/4 a teaspoon of liquid saffron? Thanks for the question; it gives me a chance to explain this liquid saffron. What I mean is ¼ of the teaspoon ground saffron dissolved in about one table spoon of hot water. I’d suggest adding the hot water gradually and stirring to bring about the color and aroma. Sometimes, before adding it to the food I put it in the microwave for only ten seconds. A little bit of saffron goes a long way, especially if it is of a good quality. There are different varieties of saffron in Persian supermarkets or Middle Eastern specialty stores. The best saffron would have a deep red color, great aroma and enhances the flavor. Although it is a bit too expensive though, therefore I use a little bit of it each time. I buy them as threads in small packages or airtight containers and I ground them myself using a mortar and pestle. Deena, I made the necessary changes. Thanks for bringing this to my attention. 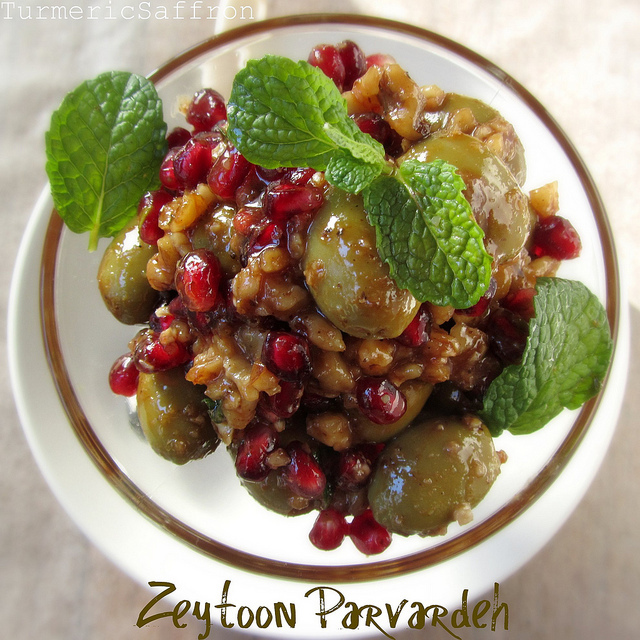 You would place a teaspoon of the nuts and raisins filling into the center of each rice, meat and herb kofta.